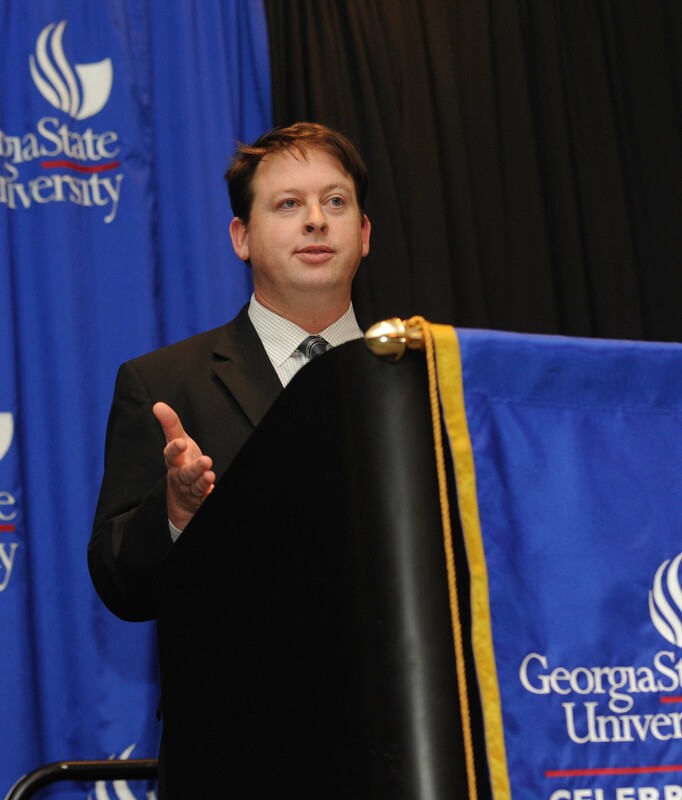 This marks the first of a series of in-depth, exclusive interviews I am doing with the librarians and staff here at Georgia State University College of Law Library. I hope you enjoy! Austin: What is your name and what do you do? A: How long have you been at Georgia State University College of Law Library? T: 12 years, but a third of that time I was in our evening part-time law program and do not really remember many details of that time. A: What books are currently on your night stand? T: I am currently reading the The Phantom Tollbooth to the brothers Manion and A Year in Provence when I actually get a moment to myself. A: What is an interesting fact about yourself that you would like to share with our readers? A: When you are not saving the world here at GSU Law Library, what do you enjoy doing outside of work? T: I coach soccer and pretend to know more about bourbon than I actually do (but I am still doing research). A: Lastly, what is your favorite vacation spot? The place you go to leave it all behind for a few days. T: Bradenton, Florida- the spring training home of the Pittsburgh Pirates. There you have it folks. The complete, unedited, behind the scenes interview with Terrance Manion. ← Law in a Flash!